I haven’t written for a long while – simply because it has become increasingly difficult to do the things that enable me to write. But why write in the first place? I started writing when I became ill now almost 12 years ago. It made things easier to keep everyone informed as to the progression (or should I say regression?) of my brain disease CBD. Especially during the 5 year period when I spoke to Lance du Plessis on AlgoaFM, I became a household name and inundated with correspondence. Writing blogs made it so much easier. I still receive many queries and I guess I have let many readers down by not keeping up the good work of writing. When the going gets tough, the tough gets going … So I guess I need to pick up the pen (the laptop!) again. 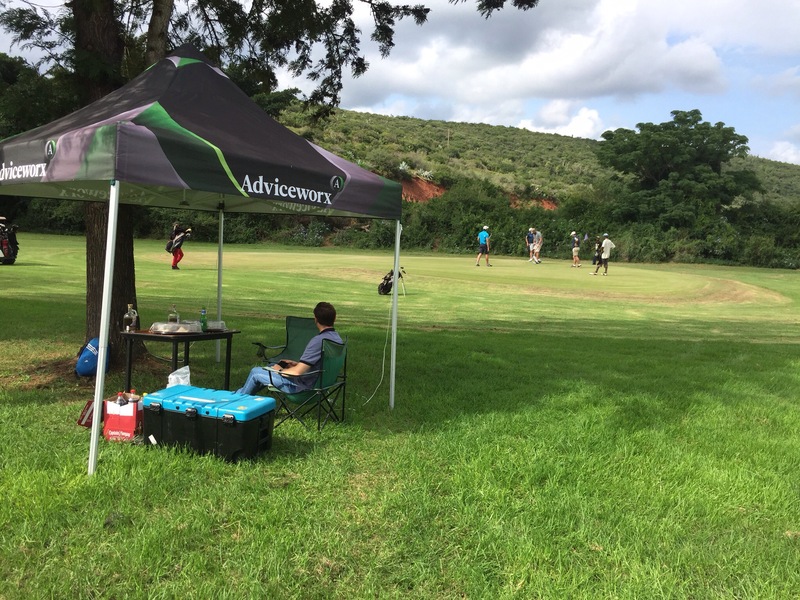 Last Wednesday, my day out of my office, and my day out at the AdviceWorx golf day in Kirkwood, got me thinking. Maybe, I just needed the fresh air (or the Flying Fish!) or the Company. Thanks to Darron and Ryan and AdviceWorx for the invite. You keep my money pot and my sense of humour going! But whilst I may Look so Good, I don’t always Feel so good! Sitting has become a problem, so at this stage, I will wrap up and continue later. Maybe the shakes that I have developed will subside by then, too. (No, there’s no connection between the shakes and the beers I had on Wednesday!) Maybe, more of a link between the PE wind and the shaking limbs. Not sore or painful, but very irritating. Try typing when your fingers touch every key except the one you aimed for!